You think different. You’ve rejected the shiny, minimalist wares that come from Apple. Good for you. 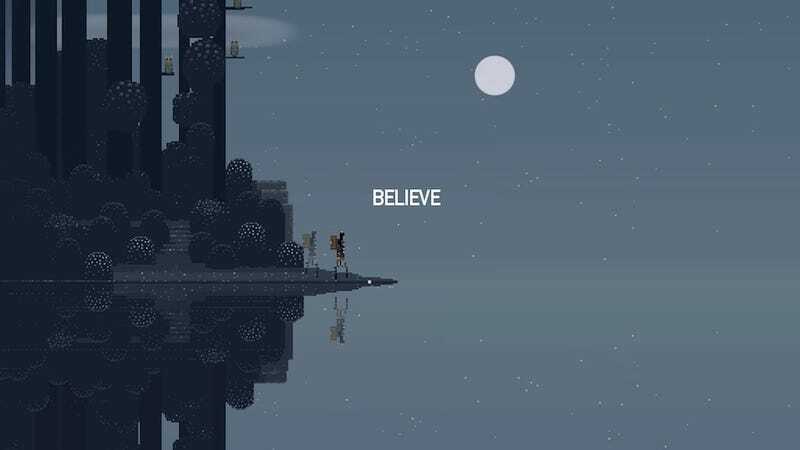 But that also means you probably haven’t played Superbrothers: Sword & Sworcery—a.k.a. one of 2011's best games—which has been exclusively available on iDevices up until this point. But that may all be changing, if a report on the Indie Game Magazine website turns out to be true. Tipped by a Steam registry listing, They’re reporting that Capybara’s iOS hit will be making its way to Valve’s digital distribution service sometime in the near future. IGM claims that releases sussed out by this method have all come to pass, so they expect that Mac and PC owners will be taking the Scythian through a clever journey through an 8-bit mythological landscape as soon as next week.